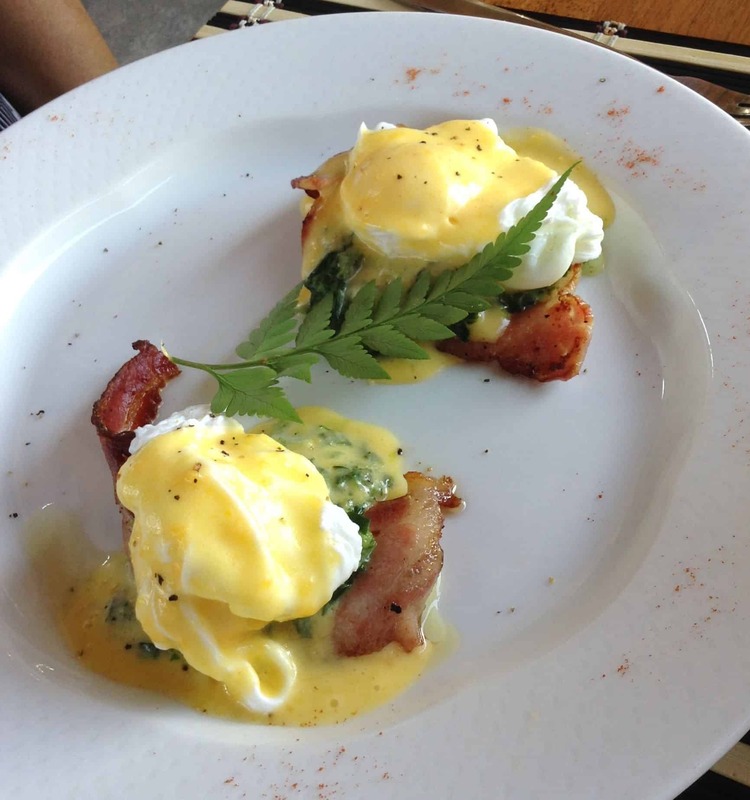 This photo is of our favourite breakfast from our holiday in Vanuatu over Christmas – Eggs Benedict, no bread. So yum! The nutritional analysis is of Dave Aspery’s “Bulletproof Benedict” from his Bulletproof Diet Book and involves lots of spinach, butter, eggs and avocado. It does very well on both the protein score as well as the insulin score having only 3g of net carbs after you account for all indigestible the fibre in the spinach and avocado. Overall a very nutritious and delicious low carb meal that ranks number one for diabetes and nutritional ketosis. The nutritional analysis above is for a larger batch while the table below shows the data for a 500 calorie serving. Dave Asprey’s recipe doesn’t include bacon, but if we add some in we get an increase in the protein and a sight decrease in the nutrient score. The net carbs goes down thought the overall insulin load goes up with the increased protein. Either way a great option for people trying to manage their blood sugars and optimise their nutrition. Details for a 500 calorie serving are below. you gave us the ingredients, but how do you make it? The difference here is the emphasis n the greens to give the nutrition (i.e. spinach, parsley, avocado) in addition to the standard bacon and egg. Hi Marty, can you clarify the carbs? It says net 3g but the NIP says 16g? The analysis is for a 1623 calorie recipe (from Dave Asprey’s book) and the table at the bottom is for a 500 calorie serving.